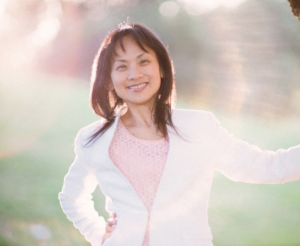 Ju-Lu Huang Kuo, founder of Transform2action, has been an influential presence in palliative care for over 20 years, with a focus on communication with patients, families, health care providers, and institutions. Ju-Lu has been recognized in the industry as an expert in handing difficult conversations and has been featured on Bridgeport News, Let’s Talk Tonight TV Show. She also travels around the world as a guest lecturer at different hospitals and Schools of Nursing in Universities. She is a proud alum of Yale University, where she received her Master’s, and member of Motivational Interview Network of Trainers. She is personally coached by Dr. William R. Miller, Founder and author of Motivational Interviewing. You may spot Ju-Lu and her family singing in nursing homes or out camping with girl scouts. She is based out of the San Francisco Bay Area, where she shares her home near Tesla Motors in Fremont!